A true classic amongst hornpipes, “The Rights of Man” is frequently heard at traditional Irish sessions. It appears in both Irish and Scottish sources from the 19th century, and some manuscripts attribute it to James Hill, although there is no consensus about this. 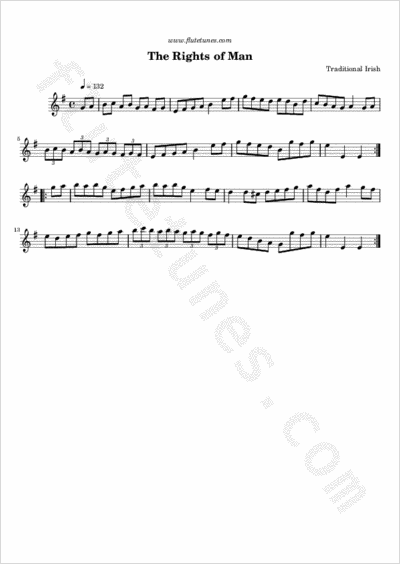 Some people say this hornpipe derives its title from Thomas Paine's 1791 book defending the French Revolution, but the tune probably does not go back that far in time.